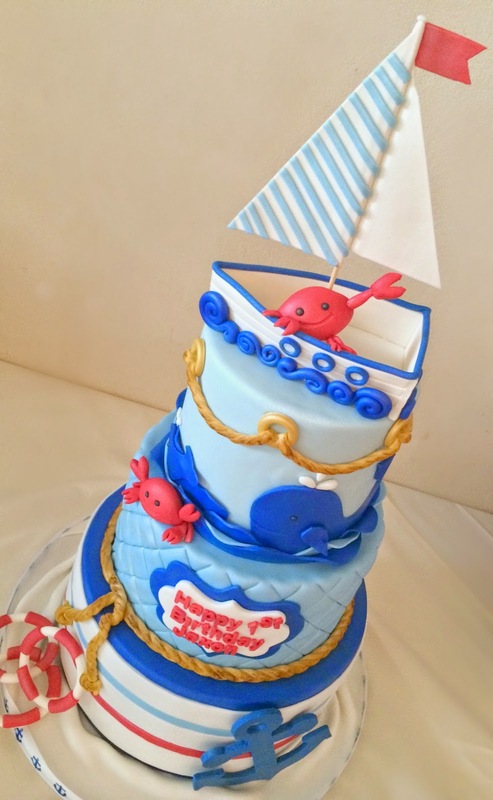 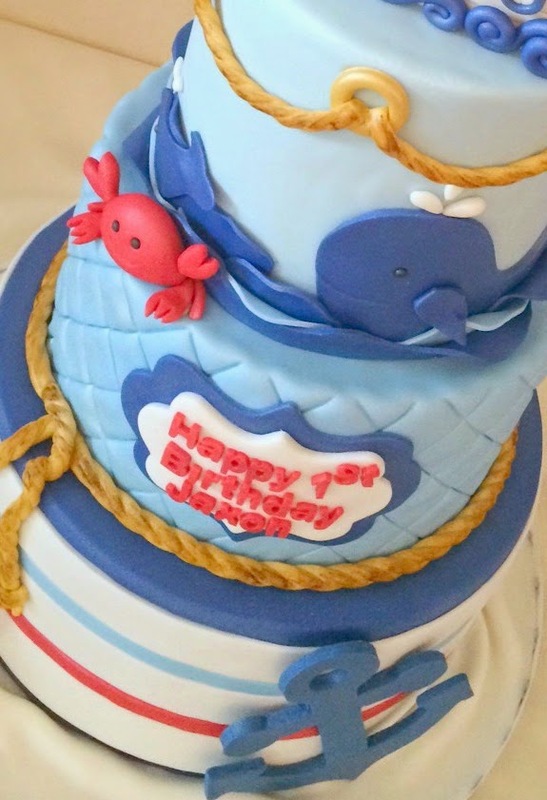 Nautical theme 1st Birthday cake to celebrate a little boy. 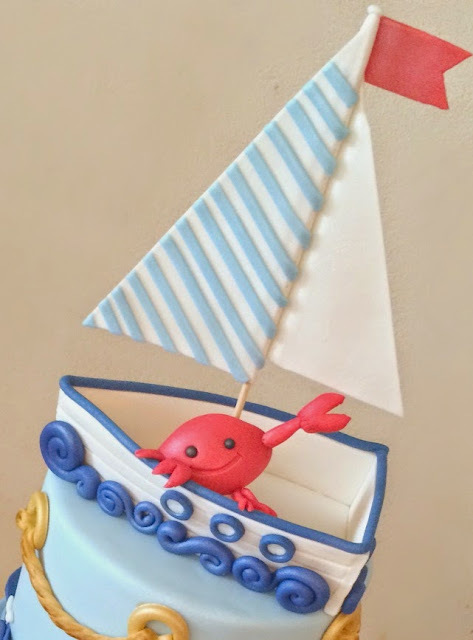 All sugar details handcrafted in sugar paste. 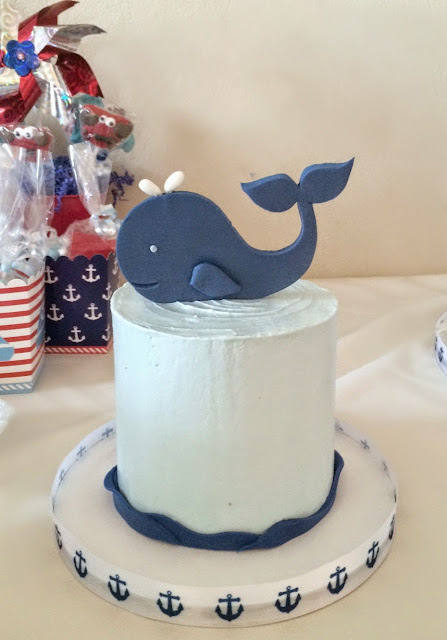 Bottom tier cake was rainbow cake with vanilla bean feeling, middle tier was chocolate cake with salted caramel buttercream and the top tier was chocolate chip cake with chocolate ganache.